As a reader, do you ever sit and think, "I'd really like to read a book about X who is Y, and does ABC"? Looking for a really specific kind of story about a character from a particular marginalised group? Maybe you want a story about specific intersectional person, because you've not seen all aspects of your identity in one character? Or maybe you want to see a specific marginalised character doing things, or in a genre, you've not yet seen? I know I've had these kinds of wishes myself. When I had recently been thinking about this, I was scrolling through Book Twitter, and just happened to see a number of agents putting out there the kinds of books they would like for their manuscript wish list (#MSWL), and I thought, what if we readers did the same? We all know that there are more books about privileged people out there than those about marginalised people, and that the privileged books get more of the support when it comes to marketing and publicity. So what if the books we want actually do exist, and we just don't know about them? What if there was a way we could ask for very specific recommendations, and have the people who know that kind of story exists point you in it's direction? Or if, if that book doesn't yet exist, our asking for that kind of story sparks something in an author's imagination? Or is noticed by an agent, who then makes asks to see such books with #MSWL? What if there was a way we could find these books or ask them to be written? So I've had an idea. I don't know if it will work, but how about maybe we try it and see what happens? How about we go on Twitter, and say what kind of stories we're looking for, with our own hashtag? 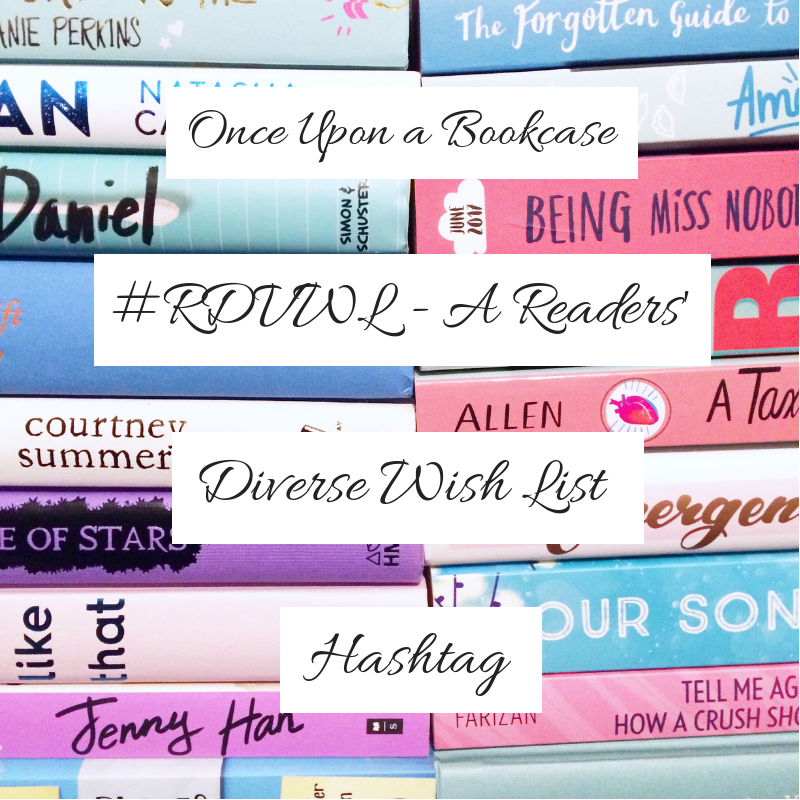 I propose we give #RDVWL - Readers' Diverse Wish List - a go. For example, I will be going on to Twitter and tweeting, "I'm looking for YA where, at some point in the story, a teen discovers they are heteroromantic bisexual. Who has questioned their sexuality & who they are, because they don't quite "fit" what they believe bisexual to mean-until they discover the term "heteroromantic". #RDVWL". And then see if such a book exists. Or see if someone will write it. Let's see if the books we've all been longing for actually exist, or if asking for them can lead to us having them in a few years time. How about it? What do you think of #RDWL? Are there specific kinds of stories you've been longing to read? Is this something you would be willing to try? Let me know in the comments! And if you're willing, please do tweet about this post - the more people who know about it, the more likely that it will work. Thank you! That's a really nice idea to get recs from people who may have heard of books we haven't! I think, when it comes to "I wish this book existed"...it usually does?? But yeah like with what you said about the marketing etc., and sales depending on whether it's still in print. But I hope your project here is successful! I actually saw this tweet earlier in the week. Hope you got some good responses! I think this is a great idea.